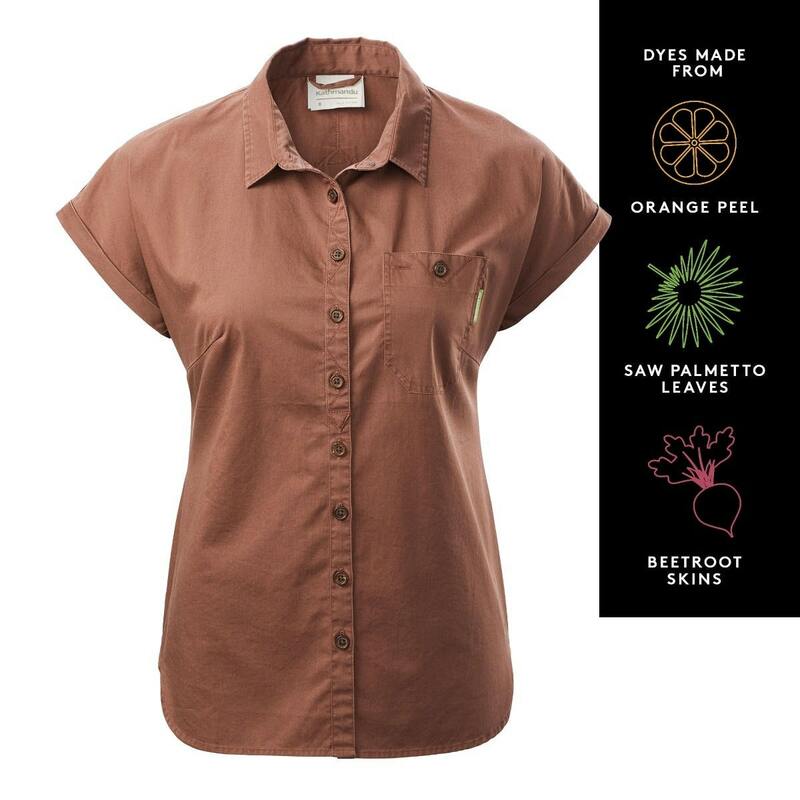 Match your clothing choices to your outdoor lifestyle with our KMD Women’s Earth Short Sleeve Shirt. It’s dyed with traceable, patented EARTHCOLORS that come from nutshells, leaves and vegetables – essentially agricultural waste. Supporting more responsibly grown cotton.